All In One Fitness offers one on one personal training sessions. That means that we are focused on you 100%, 100% of the time. All of our trainers are nationally accredited personnel. Every workout is tailored specifically to you and your goals. Results are guaranteed. By focusing on you, we can invest quality time in your health, physique, and overall appearance. Commit today, for a better you tomorrow. We can help you be healthy, but it's up to you to take the first step. True Experts. True Dedication. True Motivation. All In One Fitness is the only place you'll ever need to go to achieve your health goals in Brownsville, TX. We work with people from all over South Texas who are ready to take the next step in getting in shape. Our private gym guarantees one on one training, full personalized workout in a private environment, personalized goal workouts, and the discipline and motivation you will need on your journey. We also count with our very own licensed Dietitian, guaranteed to accelerate your weight loss journey by providing you with the knowledge that you will require. Whether you need to lose weight, tone your body, build strength, or get started, our professional nationally accredited staff has years of experience, and all the resources necessary to get the job done. When you step through our gym doors, the attention is 100% on you. It will be one hour of hard work that will get you results in as little as one week. 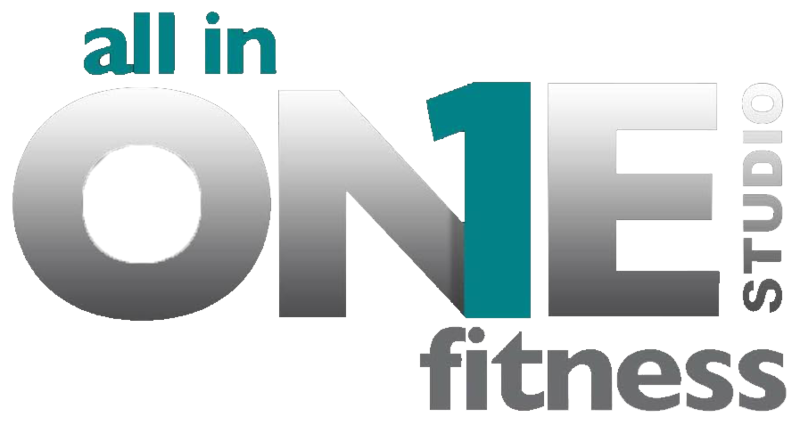 In short, All In One Fitness is an all in one one-on-one personal training company that strives for excellence in order to fulfill all of our clients' health and body needs. All In One Fitness has all the tools, resources, and expertise to handle all of your needs, as specific and complicated as they may be. Our friendly and nationally accredited staff is fully capable of handling all your personal training needs, ensuring your satisfaction with quality work and great customer service. Please call or email us today and we'll give you a comprehensive description of all of the services and products we offer to ensure you understand the benefits of working with us. Call us or e-mail us if you have any questions - We are happy to help you! Every session is dedicated to you, you will never be in a crowded room or sharing space with anyone else. Your time is 100% your time. We cater every single workout to ensure optimum results. We modify every workout to ensure the intensity and challenge meets your current training level. Your trainer is guaranteed to be nationally accredited, that means that you'll always be working with highly trained up-to-date individuals. Call us if you have any questions - We are happy to help you! If anyone knows me, they will tell you that I expect quality in any investments I make. Personal training to me is the best investment I have made in my health. The training staff at All in One have earned my complete trust. Thank you guys! You have made exercising fun and challenging and I look forward to my training sessions weekly. Special shout out to my trainer Edgar Lopez. Ever since I started going to All In One Fitness Studio, I’ve gained so much confidence and motivation. They have the most exceptional customer service and outstanding trainers. They have tailored my workouts to my needs and goals. Along with the help of Vanessa, their in-house dietician, I have seen amazing results! Go visit them now! All in One Fitness Studio is great place for training. The trainers are awesome, they are very professional and caring. They have a Dietician in house also. Highly recomend this gym. Connect with us and learn about our day to day training and promotions! We offer free sessions to those who are truly committed to change their life. We like working with people who are tired of living an unhealthy lifestyle and are ready to take the next step. If you are one of those persons, contact us! Anyone can sign up! We have customers from Brownsville, Harlingen, San Benito, Olmito, Pharr, McAllen, Mission, Donna, Mercedes, South Padre Island, and more! So it doesn't matter what corner of Texas you are coming from, we can help! Our Dietitian is Vanessa Zamarripa, an accredited and experienced Dietitian. Vanessa Zamarripa has helped hundreds of people get in shape by teaching them healthy eating habits. Because our training is based on you, we work around your schedule. That means if you are coming from McAllen, TX for a workout at 7 am, we will be there, same if you are coming for a working at 7 pm, we'll be there. Commit yourself today to a better you.